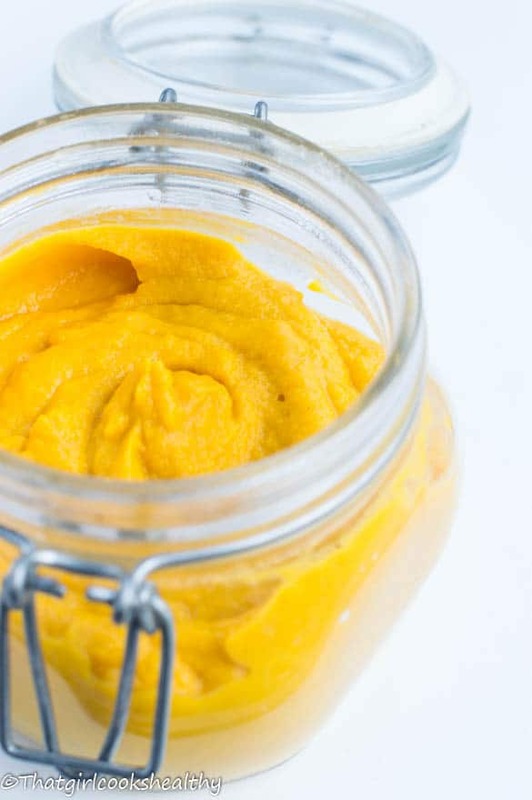 Homemade pumpkin puree couldn’t get any easier using just one ingredients, deseeded pumpkin, a reliable oven and you’re good to go! Here is another ‘How to’ recipe post for you all. I hope guys don’t mind me posting a “how to” tutorial. I think it’s useful for any cook, after all we aren’t walking encyclopedia’s of knowledge. I’m not well versed like that, so I’m guessing you’re not either? good so looks like we’re on the same wavelength. Sometimes when I follow other people’s recipe, it really annoys me when they make reference to things without showing others how to make it. Granted it can be time consuming constantly showing how to make this, that and the other from scratch. Other times it can be subconsciously done. In that respect I try my hardest to make a tutorial post when warranted, so everything is at hand come cooking time. Pumpkin has many health properties with the most poignant being it’s highly concentrated with vitamin A.
Vitamin A is key for our eye sight, our vision impairs as we age, sadly that’s aged related decline. Yet we need vitamin A to sharpen our vision, including times when our eyes need to adapt for light changes. Our immune system and cell renewal gets many of it’s functional support derived from vitamin A. In essence this fat soluble (meaning the body serves as storage) vitamin is a necessary requirement for physiological development. it may seem like rocket science, but let me inform you there’s no code to decipher. All you need is some parchment paper, an oven and of course the star of the show…..drum roll…….pumpkin. It’s simply a matter of roasting the pumpkin in the oven and then pureeing it. Store any excess puree in a container in the refrigerator for upto a week. You also put some pumpkin puree in freezer friendly bag and freeze for several months. Preheat oven at 400 degrees (Gas mark 5). Line a baking tray with parchment paper and place the pumpkin on the tray. Be sure not to make the pumpkin slices overlap one another. Roast pumpkin slices for 40 minutes. Once roasted, place on cooling rack for 1 hour. Cut the outer skin from the flesh and discard, then toss the remainder into a blender or food process and whiz into a softy, puree consistency. Store in the refrigerator for 1 week for freeze for several months. 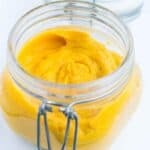 What is pumpkin puree used in/for? Hi Loretta. 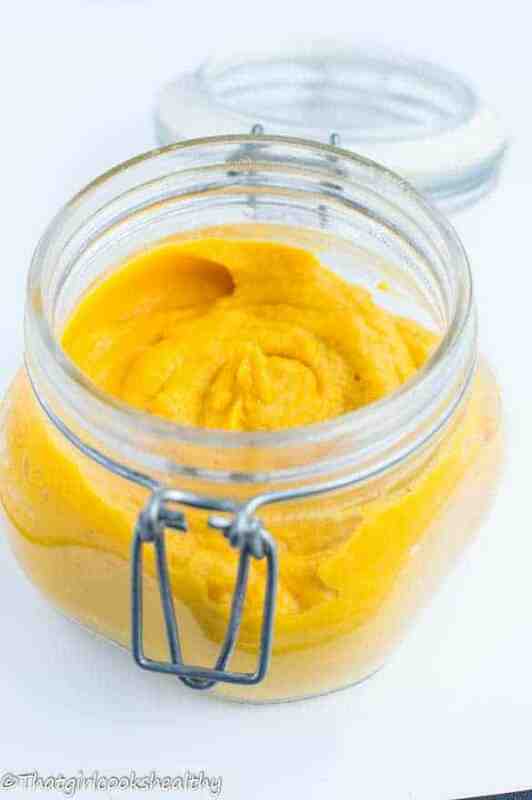 Its used in baked goods, for instance the filling on pumpkin pie or forms part of a pudding (pone).